Jen and I flew to Melbourne for a weekend of shopping, markets, good food, exploring and getting swept away by the wind and rain. 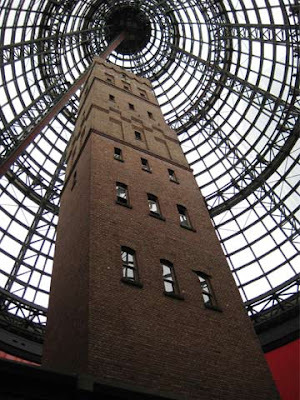 The photo above was taken at Melbourne Central shopping centre, which is built around this old building. 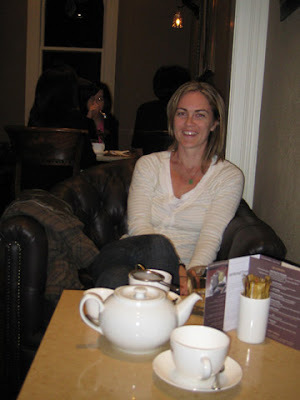 The photo below is of Jen at the chocolate shop on Lygon Street. We were so stuffed already from our big dinner that all we could stomach was a pot of Chai.